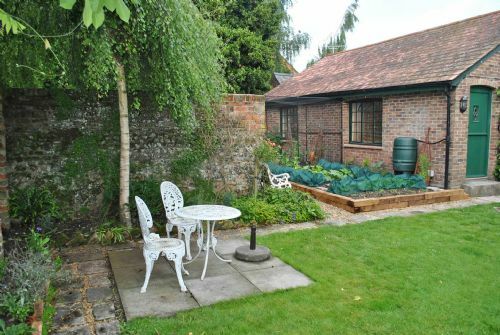 Delightful cottage in quiet setting, close to the heart of Chichester city centre. 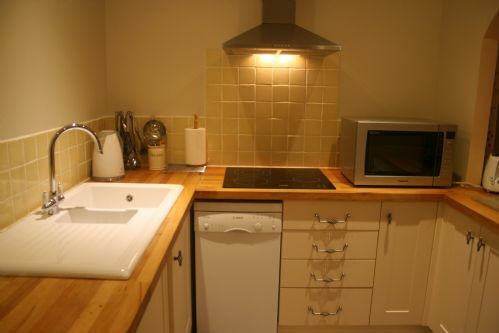 The property was both clean, comfortable and ideally located, for walks into the city. The parking was secure and safe. We would definitely stay there again when next visiting the area. First class! 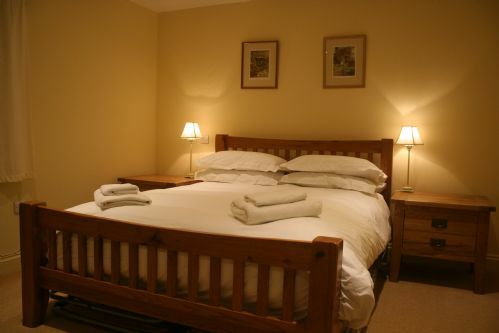 We are delighted you had an excellent spring break and you enjoyed staying at Brewery Cottage. 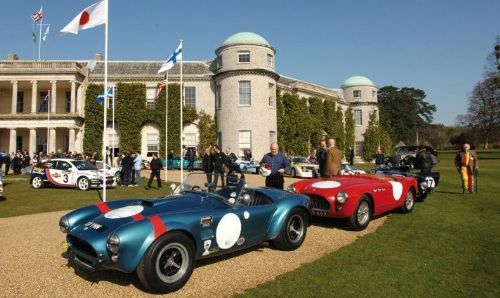 Please do not hesitate to contact us again if you would like to make another booking. Kind regards Henry Adams Holiday Lets team. 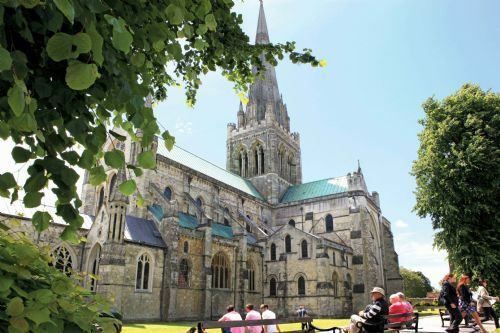 Great location for an extended stay in Chichester. 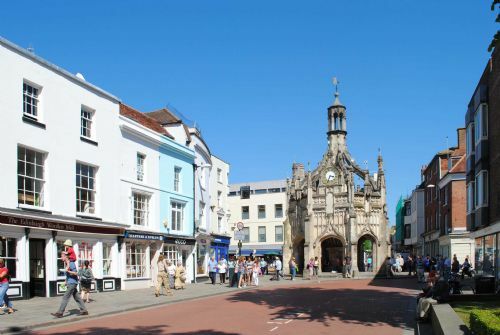 I enjoyed the quiet cottage within an easy walk of downtown Chichester, I could walk to the theater, cathedral, grocery stores, the train station and the delightful downtown pedestrian area. The cottage was clean and a good size one bedroom detached unit. I strongly recommend this rental for an individual or couple. This is a very good place to stay at. David and his wife couldn’t have been more welcoming and were extremely helpful. 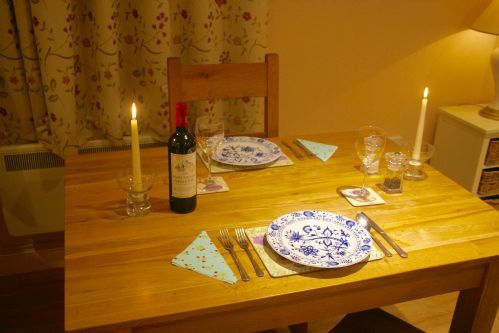 The cottage is spacious and beautifully furnished. The only thing we were slightly unhappy about was that the cottage did not have a cooling fan to counter the exceptionally hot weather that we were experiencing upon our arrival; however this wasn’t a major problem as the weather cooled down within a few days. For the same reason, a top sheet as an alternative to a duvet could be useful. 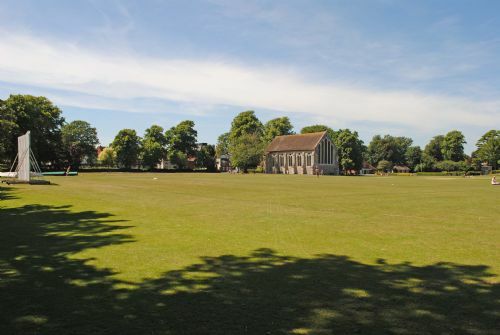 Excellent location in central Chichester. 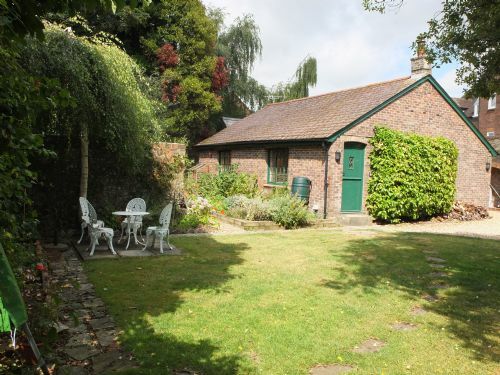 Third time I have booked Brewery Cottage. However, this visit started with me arriving on a very hot, sunny afternoon and finding the kitchen fridge was not working and emitting hissing sounds. Alan from Henry Adams Lettings in Emsworth ( the agent) was very efficient in addressing the situation and delivered and installed the replacement fridge 24 hours after arrival. The remainder of my summer stay was uneventful in a good way and I enjoyed every minute of my time in Brewery Cottage. I will return in 2019 assuming the property is still available. 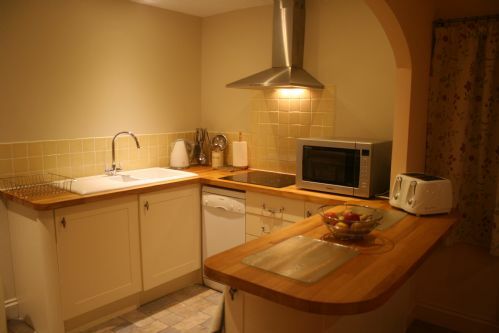 Brewery Cottage is well placed to explore the city of Chichester by foot. A welcome would have been lovely. The cottage was really quite dark so we needed the lights on all the time! The windows don't really let in much light and have shutters on them. We pulled up the shutters during our stay to increase the light throughout the cottage but it didn't make too much difference! The external windows were extremely dirty which was very disappointing. The huge bed was extremely comfortable. 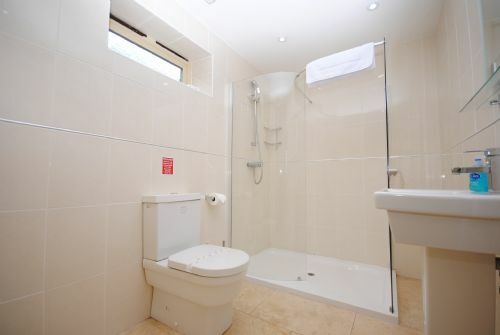 The shower room led off from the bedroom as an en-suite. 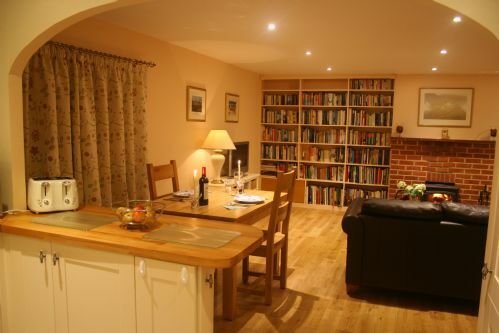 The main room with a wall full of books housed the dining table for two and led into the well equipped kitchen. However, we found the hob and microwave oven were extremely frustrating when cooking. We cooked complete meals at the cottage and it wasn't simple! Outside the garden seemed poorly attended and the garden furniture was filthy. We had to scrub them before using them. An outside table cloth and cushions for the metal chairs would have been a useful addition, especially as we had such lovely sunshine. 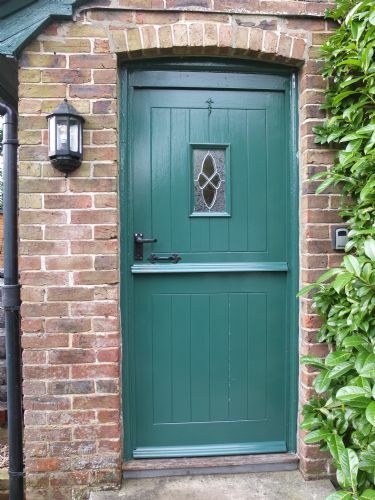 The cottage gate system was extremely reliable and easy to use. 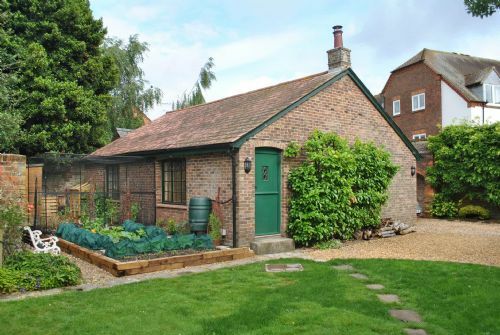 Our week in Chichester at Brewery cottage was a little disappointing in comparison to other cottages we have booked and it was more expensive. The whole area is an expensive area of the UK. We enjoyed our stay. 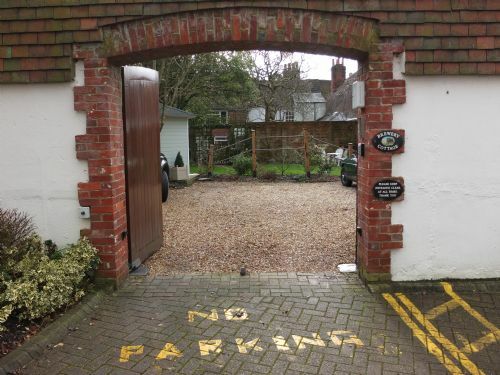 Quiet location with off road parking. 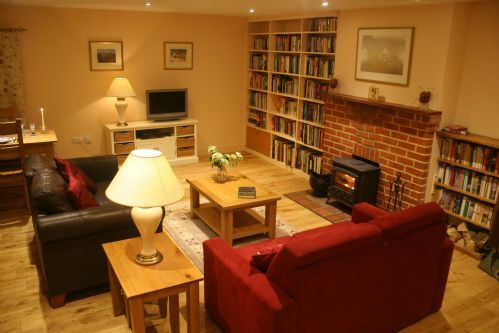 We appointed Cottage offered us a comfortable stay. 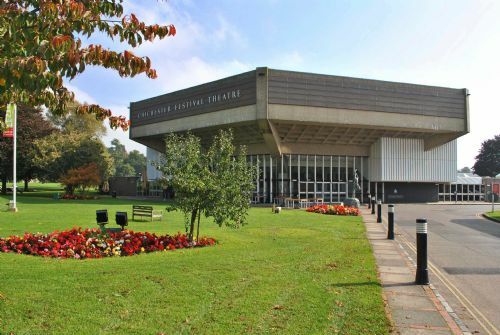 Just a short walk from Chichester centre. 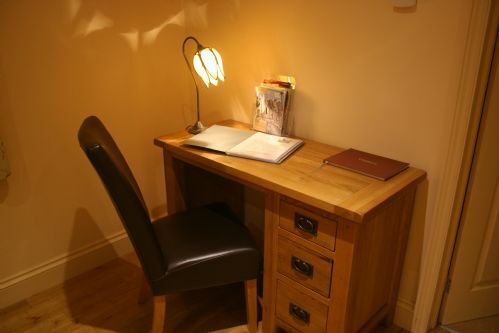 The cottage is cosy, as well as being very quiet and secluded, yet it is very central and convenient. Really enjoyed our short stay. Very comfortable and quiet. Owner very helpful. Very close to centre of town. 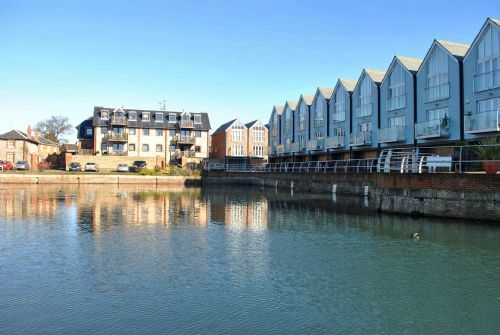 Excellent accommodation in the centre of Chichester within walking distance of the Railway station, shops and restaurants. 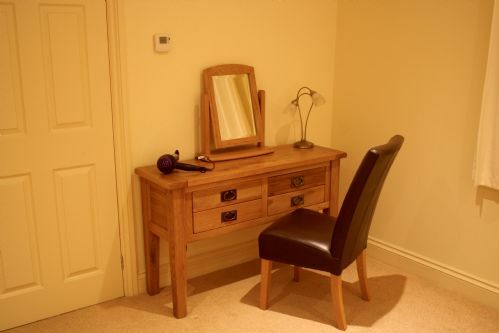 The apartment is very large and well equipped and there also the benefit of a private parking area. 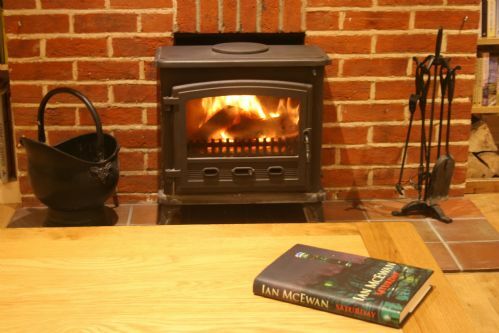 Brewery Cottage - A comfortable and quiet haven near Chichester city centre. 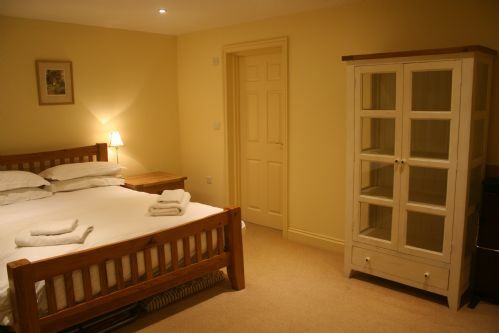 Brewery Cottage is spacious, comfortable, elegantly furnished, secluded, and only 7 minutes walk from the City centre. The huge eclectic living room book wall was a delight. The bedroom was very comfortable, as was the bathroom. The kitchen working area was a little tight, and we found the combination microwave/cooker somewhat limiting - lacking the shelves referred to in the user manual, only one item of any size could be cooked at once. The owners, David and Lynda, are both friendly and helpful. Unfortunately the early March weather prevented us from taking advantage of the pleasant garden. A lovely comfortable quiet cottage, very well equipped, beautifully clean, and very close to the town, Cathedral and bus services. We enjoyed our stay there and my only criticism was that I personally found the lounge to be dark especially noticeable when returning to the cottage on a sunny afternoon. Lovely detached spacious accommodation in very convenient location for the city centre and walls walk, less than 5 minutes walk. Liked it so much we stayed an extra weekend. Only minor comment was that in the rooms there were a few spider webs at the ceiling corners missed in cleaning but soon remedied by us. Well recommended accoomodation. 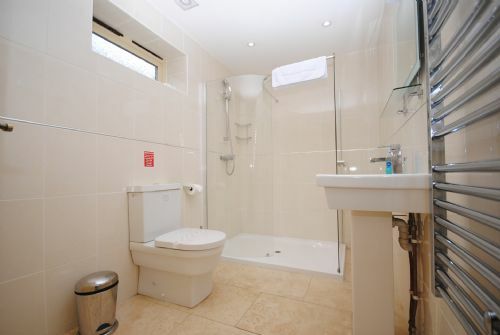 Great accommodation situated right in the heart of the quiet Westgate area 5 min walk from the city centre. Comfortable with all the required amenities and ideal as a base for the area.